I often have leftover chicken or beef from other meals I've made. Instead of eating the same thing again, I like to "recreate" it into a fast easy Chili. 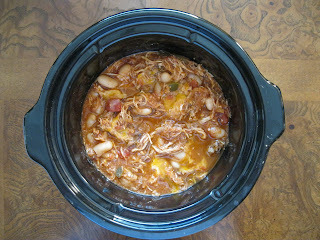 I made this in my 2.5 quart crock pot with chicken breast leftover that I had made in my crock pot for quesadillas. 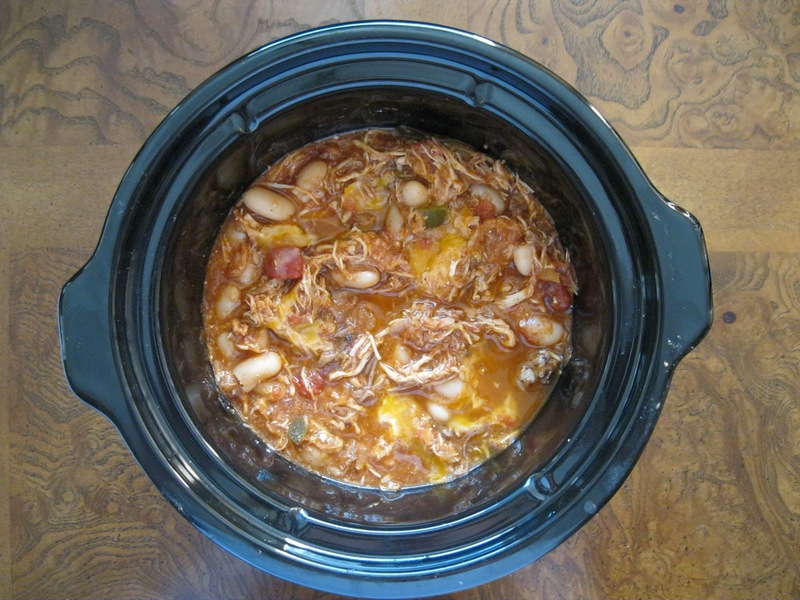 Mix all ingredients in your crock pot or stove top and heat until warmed through and flavors are incorporated. Top with shredded cheese, black olives, jalapenos and a dollop of sour cream if desired.